After our wedding last weekend, I went up to visit my parents in Maine. I love visiting them in the spring, my mother’s wonderful garden is always about three weeks behind Boston so she has tulips and daffodils still growing long after my own have passed. She made this arrangement for me which until yesterday was residing on my bedside table. I just think it is so lovely. Bedside tulips from my mom's garden. Petalena, 2010. Beautiful without being overdone. 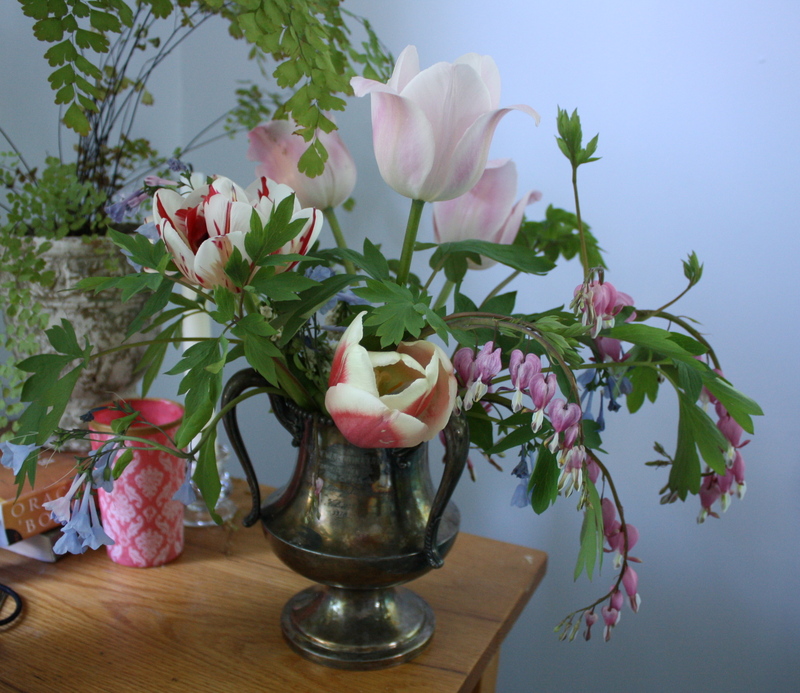 Simple and sort of tumble-y with the trailing Bleeding Heart flowers and foliage joined with the tulips. 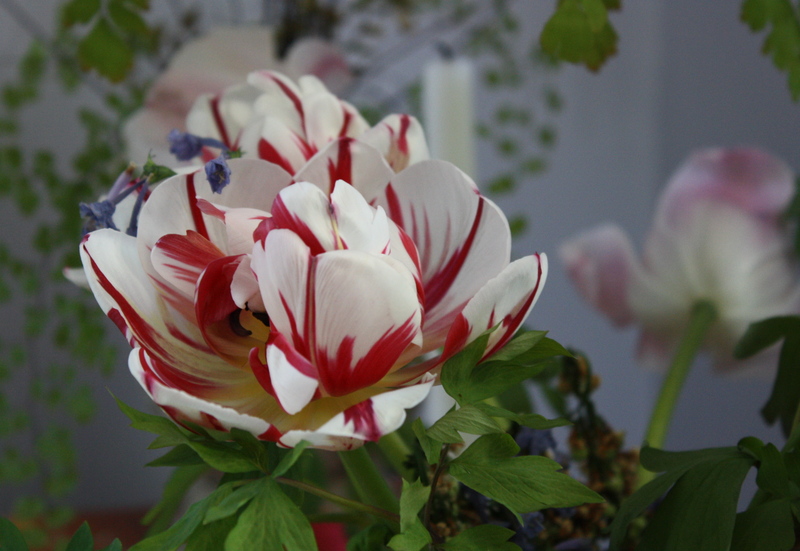 The red and white tulips in this arrangement might be my newest floral obsession – Carnival de Nice. I just adore them – they start off with very tight little small buds in the garden, growing to this wonderful full form (below) with layers upon layers of petite little petals. Carnival de Nice Tulip. Petalena, 2010. Once they open, they look look this. Don’t they look like someone took a red paintbrush to them?